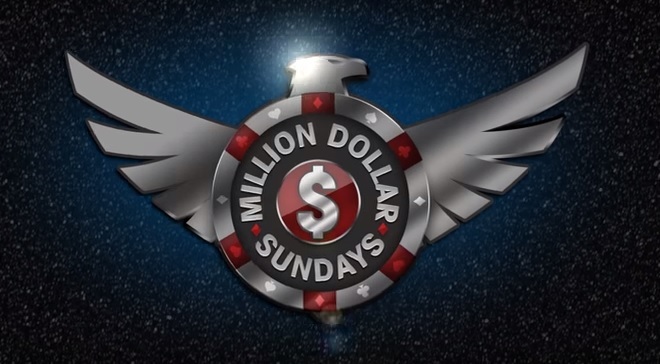 Million Dollar Sundays are back again on Americas Cardroom. ACR’s next MDS will be on Sep 4 at 4:00pm ET. It’s once again a $540 buy-in no-limit Texas Holdem tournament if buying in direct, with 15 min levels and 10,000 starting chips. Or get in cheap in one of the usual mega satellites. Players can also qualify on Black Chip Poker. Open an account there to receive another $1000 deposit bonus if you haven’t already, equivalent to 41.6% rakeback when combined with 27% base rakeback. 4th September 2016 (Sunday) $540 4:00pm Million Dollar Sundays $1,000,000 GTD Winner pockets $200,000 prize home!